Classroom observation as a methodology is not without its critics. This critique ranges from epistemological arguments to validity issues with its controversial application as an evaluation measure of teacher effectiveness. On the methodological front, there are significant reliability and validity threats when classroom observation is used in both educational research and teacher evaluation (Harris in Carnegie Knowledge Network Brief 5, 2012). This chapter acknowledges this critique and proposes a third way for classroom observation in teacher improvement. The improvement agenda disciplines the classroom observation and moves it away from pure research or evaluation (judgement of performance) to helping teachers improve their practice. This position is supported by the argument approach to test validation endorsed by the AERA, APA and NCME. Content added to student suggestion. The teacher modifies learning goals in response to formative assessment. The teacher modifies their instructions during the lesson to increase learning opportunities. The teacher negotiates assessments with students, ensuring these are aligned with learning goals. The teacher uses formative assessment to differentiate their responses to individual students. The teacher prompts students to discover key concepts through responsive open-ended questions. The teacher prompts students to express their thinking and used this as a springboard for learning activities. The teacher uses a thinking routine to prompt deeper exploration of concepts or skills. The teacher prompts students to demonstrate open-mindedness and tolerance of imaginative solutions to problems. The teacher provides a synthesis of class-generated ideas. The teacher links, when appropriate, lesson concepts to larger disciplinary ideas. The teacher provided imaginative suggestions to increase learning opportunities. The teacher demonstrates flexible pacing of lesson in response to student learning needs. The teacher demonstrates responsive use of literacy/numeracy interventions. The teacher creates groups of students based upon formative assessment. The teacher modifies homework in response to lesson progress. AITSL. (2013). Guide to the certification of highly accomplished and lead teachers in Australia. Retrieved from Melbourne: http://www.aitsl.edu.au/docs/default-source/aitsl-research/insights/re00051_guide-to_the_certification_of_highly_accomplished_and_lead_teachers_in_australia_feb_2013.pdf?sfvrsn=4. Australian Institute for Teaching and School Leadership (AITSL). (2014). Looking at classroom practice. Retrieved from http://www.aitsl.edu.au/docs/default-source/classroom-practice/looking_at_clasroom_practice_interactive.pdf?sfvrsn=6. Derrington, M. L., & Kirk, J. (2016). Linking job-embedded professional development and mandated teacher evaluation: teacher as learner. Professional Development in Education, 1–15. https://doi.org/10.1080/19415257.2016.1231707. Gill, B., Shoji, M., Coen, T., & Place, K. (2016). The content, predictive power, and potential bias in five widely used teacher observation instruments (REL 2017-191). Washington, DC: U.S. Retrieved from http://ies.ed.gov/ncee/edlabs. O’Leary, M., & Wood, P. (2016). Performance over professional learning and the complexity puzzle: Lesson observation in England’s further education sector. Professional Development in Education, 1–19. https://doi.org/10.1080/19415257.2016.1210665. Pianta, R. (2011). Teaching children well. 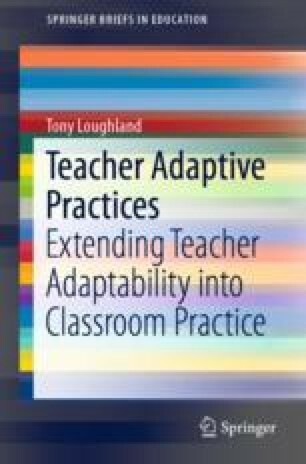 New evidence-based approaches to teacher professional development and training. Retrieved from www.americanprogress.org. Plake, B. S., & Wise, L. L. (2014). What is the role and importance of the revised AERA, APA, NCME standards for educational and psychological testing? Educational Measurement: Issues and Practice, 33(4), 4–12. https://doi.org/10.1111/emip.12045. Stuhlman, M., Hamre, B., Downer, J., & Pianta, R. C. (2014). How to select the right classroom observation tool. Retrieved from http://curry.virginia.edu/uploads/resourceLibrary/CASTL_practioner_Part3_single.pdf. The Danielson Group. (2013). The framework. Retrieved from http://www.danielsongroup.org/framework/.